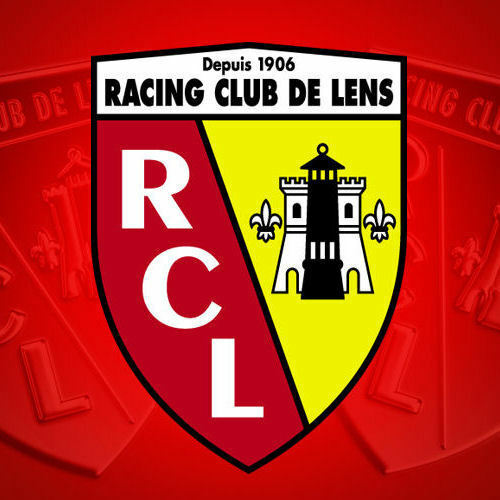 Racing Club de Lens were formed in 1906 and were modestly successful before moving to the Stade Félix Bollaert in 1932. They had previously played on several grounds including the Parc des Glissoirs and the Stade Rauol Briquet. The latter is still in use, albeit substantially modernised, by the clubs under 19 side. It is now known as the Stade Léo-Legrange. 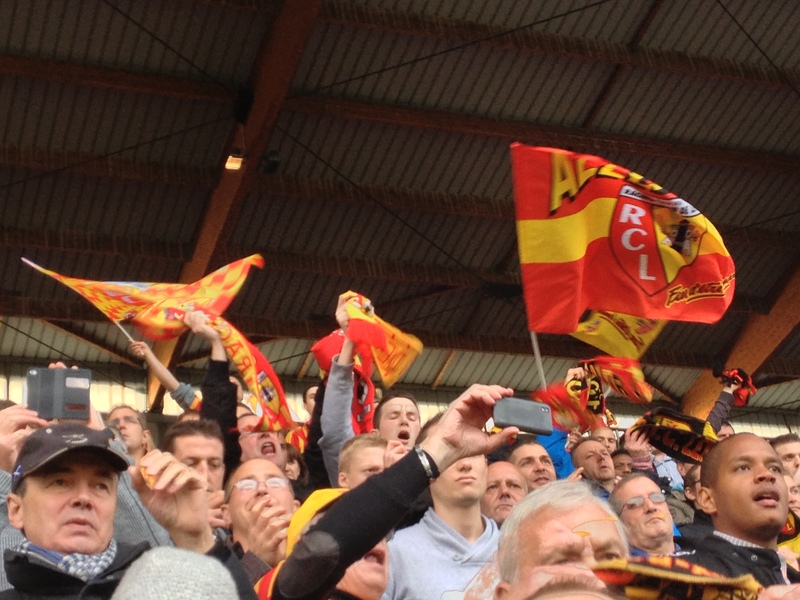 It wasn’t until 1924 that RC Lens adopted their now intrinsic “sang et or” (blood and gold) colours having previously played in green and black and later still all blue. There are a couple of folkloric reasons as to why the colours were adopted. One is that the then club president René Moglia was passing the ruins of the Church of St Léger when one of the clubs directors mentioned it was the last vestige of the Spanish invasion and occupation of 1648. The red and yellow colours of the Spanish flag were adopted as the new club colours. The second school of thought is the colours represent the cities long association with the coal mining industry. The gold representing the “black gold” that fuelled the local economy and the blood being that shed by the miners in the extraction process. Even though the coal industry ceased in the area in the 1960’s the club still has a miners lamp on its crest. The closure of the mine nearly cost the club its existence as both the board and the stadium were fiscally dependant on the industry. When the mines closed the club went through a tough period which was only resolved when the Bollaert was taken over by the commune and rented to the club. The club enjoyed a golden era in the top flight between 1953 and 1968 when they were relegated to Ligue 2. A year later the mining company’s administrator pulled the plug on the last remaining support and the club were forced to return to amateur status. Under the guidance of general manager Henri Trannin the ship is steadied and by the 1980’s the club is solvent and seeking investors. The renaissance was completed under the management of “The Druid” Daniel Leclercq in the 1997/98 season when Lens were crowned French champions for the first and only time. 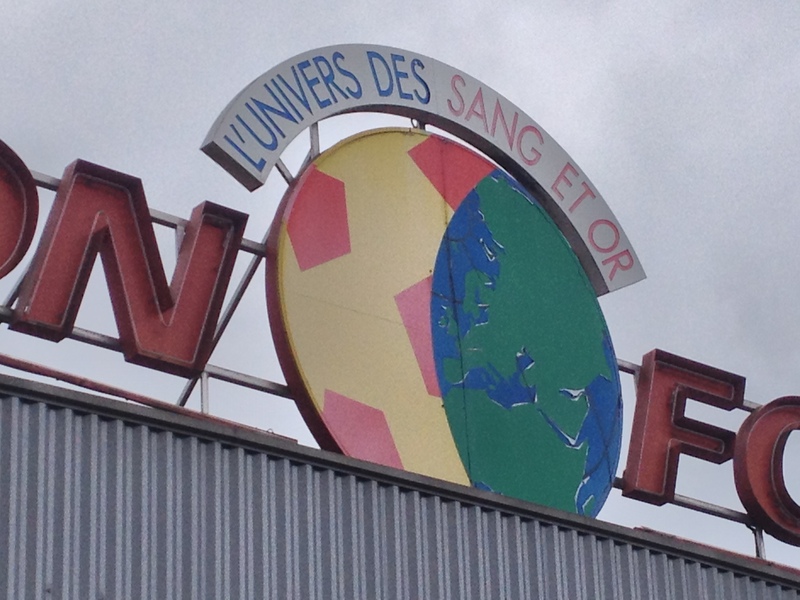 In 1998 the Stade Félix Bollaert was used as a host venue for the World Cup, renovations giving a capacity of just over 41,000. The name of the stadium is a dedication to the former chairman of the Lens Mining Company who sadly died before the stadium was completed. In 2012 it was renamed the Bollaert-Delelis after the death of André Delelis, who was the Commerce Minister in the Mitterand administration. The stadium will also host games in the 2016 European Championships. The turn of the century prove problematic for Lens and relegation is suffered in both 2008 and 2011. The Lenois have also become famous for its academy being the mother club of some notable names in the modern era like Rafael Varane (Real Madrid), Geoffrey Kondogbia (Monaco) and Premier League names Adel Taraabt, Mohammed Diame and Benoit Assou-Ekotto. Ordering tickets in advance for Lens games proved problematic, incorrect information given by stadium staff mean that a lengthy search is needed to locate where our pre-purchased tickets are kept. For the record if you ever visit the Bollaert reserved ticked for the Delacourt and Lepagnot tribunes are held at the main ticket outlet to the left of the megastore but those for the Trannin and Xerces-Marek tribunes are held at a small kiosk hidden out of view at the top of the first flight of stairs of the Xerces-Marek tribune. 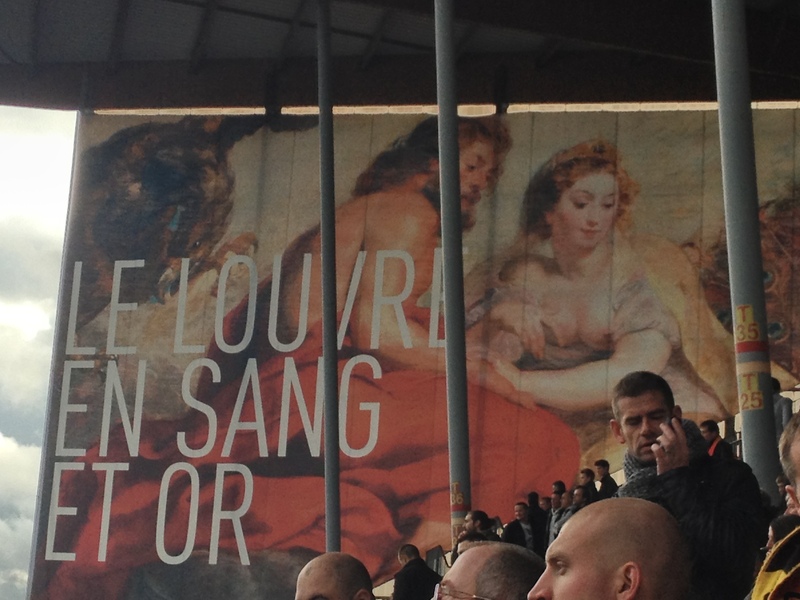 In today’s game against near neighbours SM Caen an impressive crowd in excess of 31,000 gathers at the Bollaert. Two early goals for Lens prove vital as they are reduced to ten men before half time when Pierrick Valdivia gets himself sent off. Caen get themselves back into the game in the second half without looking like they will find a goal. However, with eight minutes left Mathieu Duhamel sticks out a right foot and guides a driven cross into the Lens net. A grandstand finish is somewhat avoided when a visiting substitute manages to get himself booked twice in the closing minutes. Lens hold on to the three points and the end of the game sees the players go over to their ultras and perform some sort of strange salutation, a deathly silence followed by three loud exaltations. The club clearly has a cherished bond with its supporters and one does hope they can soon return to Ligue 1 and re-contest the fabled “Derby du Nord” with Lille OSC. 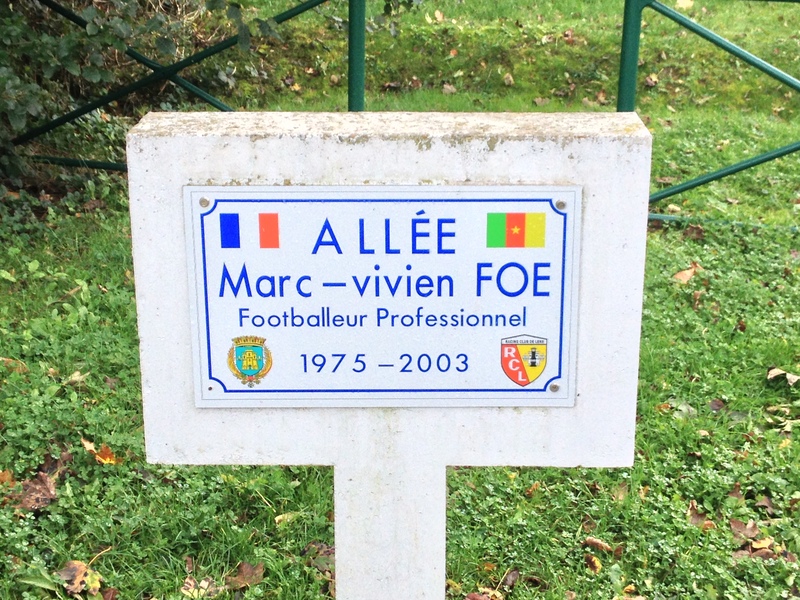 One final touching moment is the naming of the exit route outside as the Allée du Marc-Vivien Foé, who spent five years as a youngster with Lens before his tragic death at the age of 28 in 2003. 16. Alphonse Aréola; 5. Ala Eddine Yahia; 4. Ahmed Kantari; 25. Jean-Phillipe Gbamin; 24. Ludovic Baal; 6. Jérôme Lemoigne (c); 18. Pierrick Valdivia; 23. Wylan Cyprien; 9. Adamo Coulibaly; 10. Edgar Salli; 11. Pablo Chavarria. 16. Damien Perquis; 23. Jean Calvé; 13. Jean-Jacques Pierre; 19. Felipe Saad; 12. Denis Appiah; 2. Nicolas Seube (c); 10. Fayçal Fajr; 27. Thomas Lemar; 17. Ngolo Kanté; 7. Mathieu Duhamel; 11. Bengali Koita. Subs: 5. Laurent Agouazi (for 2,71 mins); 14. Aurélien Montaroup (for 19,67 mins); 18. Mathias Autret (for 27,46 mins); 22. Alexandre Raineau; 30. Thomas Bosmel. 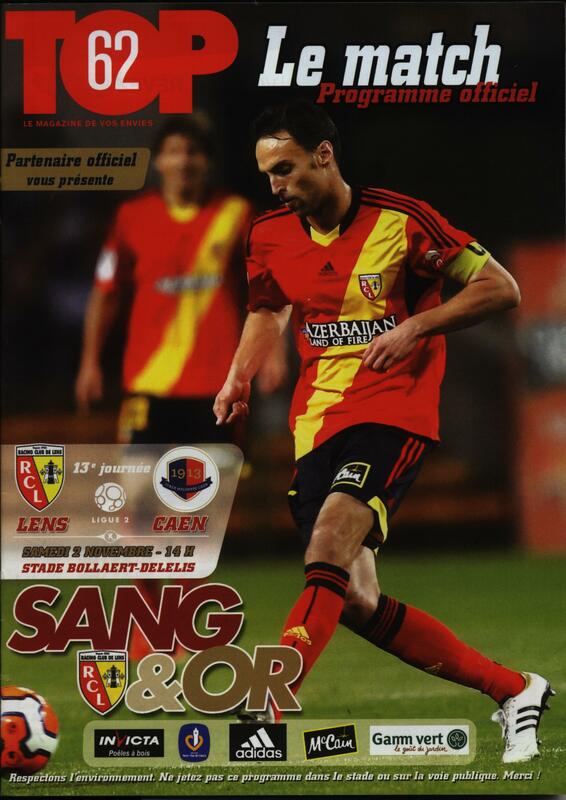 Red Cards: Valdivia (Lens); Agouazi (Caen). 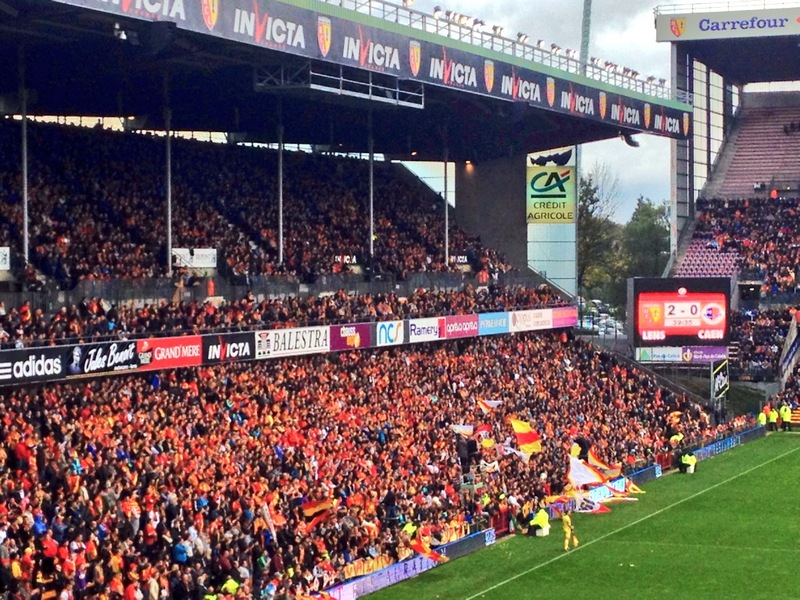 This entry was posted in Travel, Matches & Stadiums and tagged Caen, French Football, groundhopping, Lens, Ligue 2, Sang et Or, Stade Felix Bollaert by peterrmiles. Bookmark the permalink. It is a cracker isn’t it!